Hi everyone, a few days ago I asked myself what I want to archive in 2019 and also reflected what I have done in 2018. Thinking about that one part also was what I expect from ABAP and all the related stuff around it. And because I have some wishes I also thought ask if someone else have a wish which I do not see or even do not see as problem. So, what do I expect from a new painter. We do not need to develop everything new… SAP and Microsoft are partners and Microsoft can learn a lot from SAP, but also SAP can learn from Microsoft. I recommend before developing the dynpropainter have a look into the dotnet-IDE . This painter is just awesome. This wish comes from me. Without overload we mix different things in one method implementation which make code not good to read, not good to enhance and not easy to understand. This should be enough reasons to go for it. Of course, we and I can live without it, but please, whoever is responsible to make it happen.. maybe Karl Kessler ? I cannot write down here how much I love the ABAP-Console. I use it frequently and also do a lot of presentations with it. Not because it’s so much better than a write-list. No, it’s because it is build in my Eclipse installation and the examples are just there. No need for a second UI… That make presentations so much smoother and of course, if there is a dump… wanted or not it stays exactly where I want it. ok, more serious, you know what I mean and that would help a lot for mock ups or even see how a coding line works together without having all the UI-Problems to test it more flexible. My personal “please come true” wish. This is something I even did not think about. But after I read it I recognized that it could be really better. Why not have a plugin for eclipse, which give you the chance to navigate direct to the ticket in your ticket system. At least if you use Solman it could be an enchancement to the tooling. My wish since years: A better comment function. With links to other objects (Mails, Incidents, Word Documents…). I see a changed code, click on the attached document an see the reason of the change. Ok, now that I’m not sure about wish number 5, maybe this could come true. Is this still ABAP-Related.. I don’t know, but ABAP is in the cloud, so I want to make use of it. But atm it’s not easy to start with, because the customer (also the new ones) need to put extra money on the table, which is perfectly fine for me, but should be direct in the start-price included, to also make use of all the different possibilities to keep the core clean. A wish from every ABAPer around the world, at least those who want to get the hands dirty with all SAP give us to play with. What do you want from ABAP. What have we missed. Comment with your wishlist. Just when we as community share our wishes with SAP there is a chance to bring it in. I realized, that there are wishes I never have thought about and it’s awesome to see, that others have thought about problems (and have possible solutions) I never thought how to solve these. That’s what I call an outstanding community. Going beyond while sharing and caring. Developers do waste their and other developers time by finding / reading cryptic abbreviations for coding artifacts ( e.g. class / method / FuMo names). This waste can be stopped if the naming restriction for development object will be extended at least to 60 digits. Especially in test methods of abap unit tests this will bring a huge benefit for documenting test method behavior directly in the method name. The most important progress in efficient unit testing is coming with the SQL and CDS Test Double Frameworks. Unfortunatlly these frameworks are only available in the latest netweaver stacks which are unavailable for the good old ECC6 where the main important music is playing for us in the next few years. With some systems we are already at the latest S/4 stack but our developers are working in both worlds. To increase acceptance and to reduce the steep learning curve it will be great to participate in this feature also in the legacy world. It would be so nice if the complexity of which IDE the developer has to use for what kind of development can be reduced to a single IDE with all needed features included in to make the developers life great again. OK… this sounds like Utopia but dreams are still dreams and it will be Christmas tomorrow … so thumbs up… within our huge custom code base we are working with namespace prefix tags to separate the development from each other. But using this prefix tag in combination with a custom namespace and some technical naming conventions can make it really hard to give the created objects meaningful names. In the worst case we have constellations like [:cust.namespace:]_[:technical prefix:]_[:prefix tag:]_[:descriptive name:] where up to 15 digits are blown away by conventions and only 15 digits are available for a semantic description of my object. With a package based namespace concept, where the customer namespace will be the part of the first package of my package hierarchy, I will have the freedom for giveing my development objects names for a good readability and have the opportunity to use the same object name in different domain contexts (e.g. [:cust.namespace top level package:]. [:sub level package:]. [:object name:]). I wish all of you a merry X-Mas and a happy new year! Wish number 3 / you mean this one implemented in ADT? And I want to edit CDS in SE80. Why not happy with eclipse? If it was so easy, I would be using Marmolata. I can maintain my Eclipse installation on my machine, but for many clients, I log into the private network and have no way to install software. And I do see why we cannot even have at least display only for CDS in SE80. Not sure if it helps in your case, but you could at least use transaction SDDLAR to display the CDS View in SAPGUI! Thanks for the hint. I could fin the transaction on the Netweaver 7.52 demo but not on my client machines (Netweaver 7.50 SP09). I actually have my poor man’s viewer. But it cannot handle views CDS where SDDLAR has no problem… And editing is still on my wish list. PARAMETERS p_cds TYPE ddlname DEFAULT 'DEMO_CDS_SPFLI'. display_content IMPORTING iv_name TYPE ddlname. IMPORTING ddddlsrcv_wa = DATA(ls_wa) ). cl_salv_gui_table_ida=>create_for_cds_view( CONV #( iv_name ) )->fullscreen( )->display( ). Moving to Eclipse is crucial for each ABAP Developer – enabling the editing of CDS in SE80 would be a step in the wrong direction. Ability to use // or /* to comment lines another much needed feature. And I would like to have an event definition in ABAP as it is done by all other programing languages. This will allow us to develop truly losely coppled component. Happy new year to all of you. Unfortunately the ABAP-Santa was too busy over XMas to catch up the topics earlier. So here at least some comments from my side concerning the wishes to the ABAP development tools. 1.) CDS Editor for SE80: Since a couple of years the message is clear: Eclipse is the way forward. SE80 is in pure maintenance mode. That means that all new feature will only delivered in ADT and not in SE80 anymore. 2.) New Dynpro Painter: For sure this is one of the biggest gaps in eclipse that we do not support the development of dynpros with native eclipse editors. Our focus is on web based applications via the Fiori paradigm. So our goal is to have a first class developer experience for these kind of applications based on the RAP programming model. Therefore we do not have any plans to offer dynpro tools in Eclipse. 3.) Editable ALV: The programming model around the editable ALV is error-prone and not documented. There are no plans to change this. So there will be no offical version of an editable ALV in future. 4.) Better comment function: I think with ABAP Doc we now have a much better concept in place. In the latest release we support now ABAP Doc Links. Maybe we can extend this concept with links to external sources like tickets in the future. 5.) Support for GUI/RFC in classes: Indeed we had plans in the past to support this as well. But currently I do not see remote method innovation in the near future. First of all, good presentations back in Vegas. Really enjoyed participating on those. A quick question on current ABAP strategy. Currently, we are moving forward implementing Eclipse ADT right now as main IDE at the company I work. 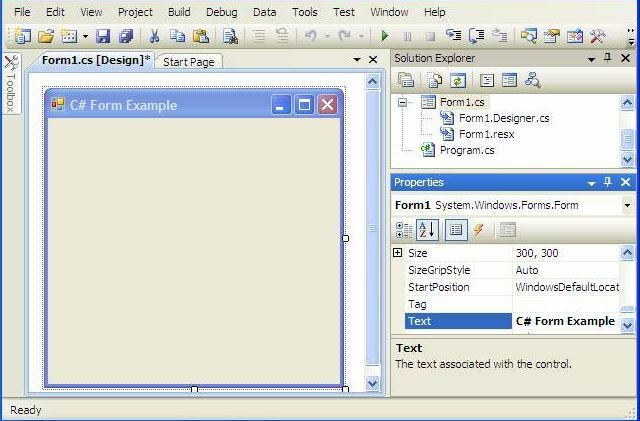 However, there are some people mentioning there is a web based ABAP IDE currently begin developed that will replace Eclipse ADT as the main tool. Could you clarify if this is real? as it might impact our current strategy. data(includes) = cl_oo_classname_service=>get_all_class_includes( classname ). Open dynpro fields for further enhancements. For eg. We got requests add a search help on a dynpro field which didn’t have one. We got requests to change a field description on a dynpro field where data element enhancement was not feasible (check SAP Note: 440343 where SAP took care of it on a report, but not on the actual table definition). Such simple requests shouldn’t require us to do a ‘modification’ of a screen.